The festival is being held until Feb. 28 between 9 a.m. and 8 p.m. The Chilgapsan Ice Fountain Festival features a large-scale ice fountain that resembles a castle in the Alps with fairy-tale characters. 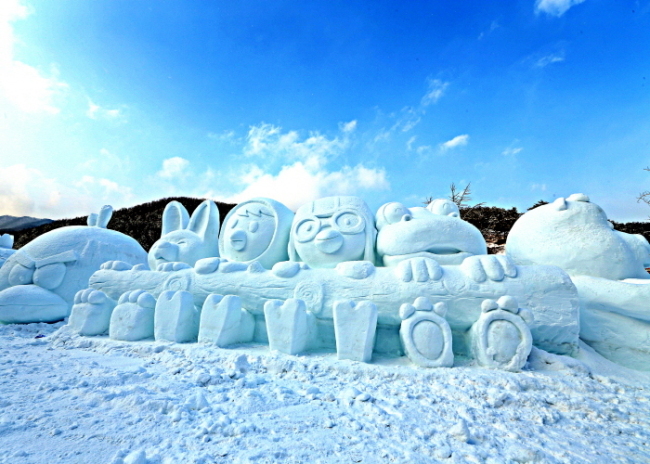 The festival includes snow sculptures, ice sculptures, a snow cave, a wish tunnel and activities like catching smelt, making organic cosmetics, snow sledding and bobsledding. The event continues until Feb. 17. It is open between 9 a.m. and 5 p.m. as well as 6 p.m. to 10 p.m.
For more information in Korean, English, Japanese and Chinese, call the travel hotline at 1330. The homepage -- www.alpsvill.com -- is only in Korean. 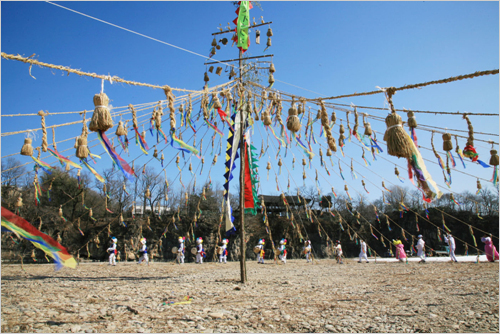 The Samcheok Jeongwol Daeboreum Festival is a celebration that blends gijuldarigi, Samcheok’s local game of tug-of-war designated as a Gangwon Province Intangible Cultural Heritage, with other traditional customs of Jeongwol Daeboreum. 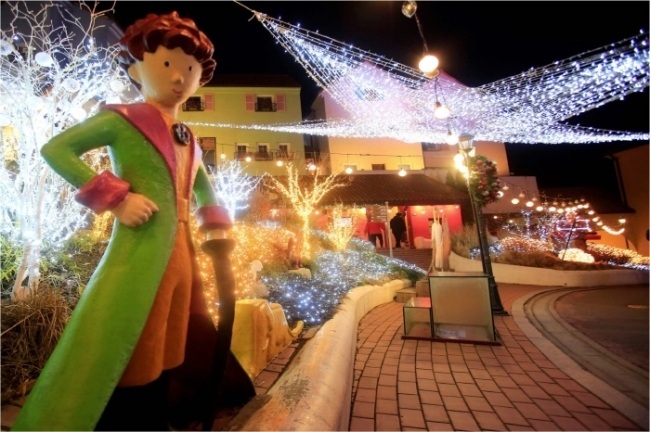 The Yangpyeong Icefish Festival takes place at the Baekdong fishing site and Soomy Village from late December to early February. Residents welcome all visitors, including families, couples and groups. Fish cake and roasted chestnuts are offered at the festival. 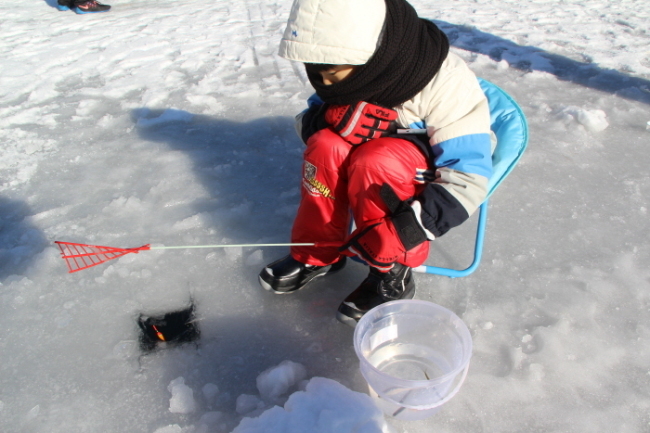 Besides ice fishing, other traditional winter games and activities, such as flying kites, spinning tops, sledding and the making of jjinbbang (steamed buns with red bean filling), are available. The festival is being held through Sunday, and admission fees vary by program. For more information in Korean, English, Japanese and Chinese, call the travel hotline at 1330. The homepage -- winterfestival.kr -- is only in Korean. 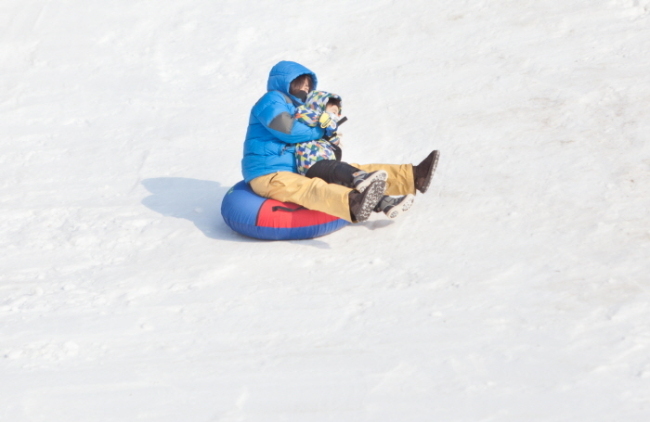 The Jaraseom Singsing Winter Festival offers various hands-on programs for tourists and participating residents of Gapyeong, Gyeonggi Province, and is managed by the Gapyeong Shopping Center Cooperative. Various events will be available during the festival. The hours are between 9 a.m. and 6 p.m. Admission fees are 17,000 won per person.